In an era of remote storage and retrieval of data, including the cloud, data security plays a vital role, especially since it’s vulnerable during the transit. Situations like database backup or copy from or to the cloud, there is always a risk of data exposure to outside world lurking around one corner or the other. We have seen a noticeable surge in the technologies around protection and security of data from the world full of unsafe hands. Efforts are being made to protect data at a very granular level of the encryption hierarchy. Protection of business data cannot be stressed upon more. Linked servers allow to access data from another SQL Server or another data source (e.g. Excel) by using SQL Server Management Studio (SSMS) or Transact-SQL. 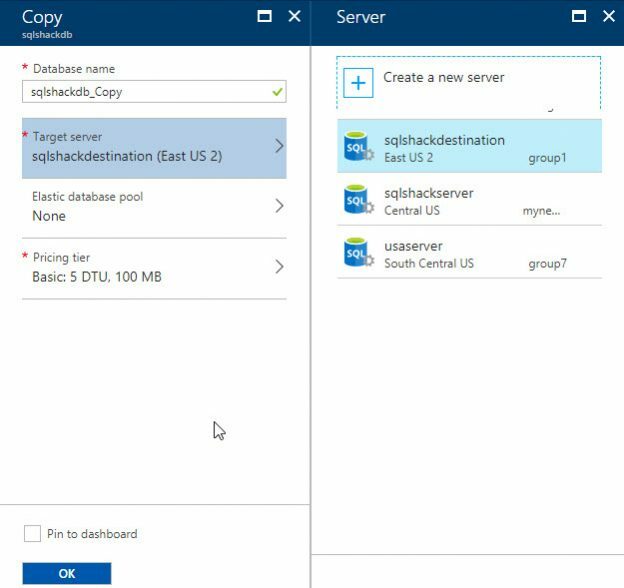 This article will explain how to create and configure a linked server to retrieve data from an Azure SQL database. Also, we will explain how to solve some common problems/issues during the process of creating a linked server to an Azure SQL database. Database availability is critical to every enterprise and conversely, unavailability directly can create a severe negative impact to the business in today’s world. As database administrators, it is important that we ensure we take all possible steps to minimize data loss. While it is naïve to think that our databases are invincible because of all such precautions, we can always aim to bring the databases back into operation as quickly as possible by meeting the RPO and RTO. This way, the business is unaffected, and we also meet our SLAs. 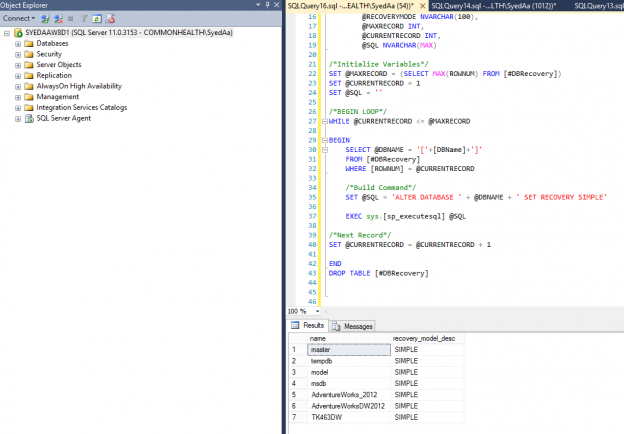 SQL server provides us with comparison operators to modify subqueries. This article will start with the definition of universal quantification, with a quick brush up with real life logical examples. The performance of a database is the most challenging and critical part of database optimization. The challenge every DBA faces is to identify the most resource-intensive databases. This article talks about the natively available features that can accomplish the task of getting the required details of the entire database at a granular level. 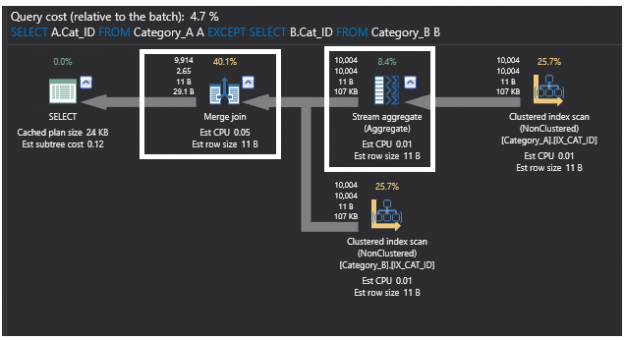 Linked servers allow getting data from a different SQL Server instance using single T-SQL statement. This article will explain how to create, configure and drop a SQL Server linked server using system stored procedures. In the previous article of this two-part series SQL Server SET Options that Affect the Query Result – SET ANSI_NULLS, SET ANSI_PADDING, SET ANSI_WARNINGS and SET ARITHABORT, we described the first four SQL Server SET options and showed practically how setting these options ON and OFF affects the SQL Server Database Engine behavior and the query result. To recall, SQL Server SET options are a group of session-level options that control how the SQL Server behaves on the database session level, and the option value can be changed using the SET T-SQL command for the current session that you execute the SET command on. 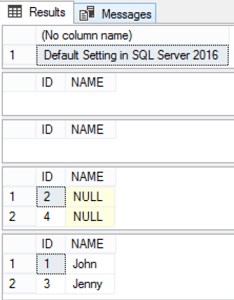 In this article, we will describe another five SET options and see how turning it ON and OFF will change the SQL Server behavior and the query result. 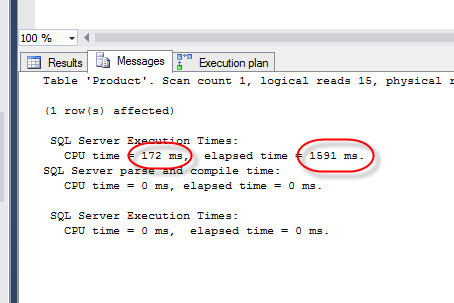 SQL Server provides us with a number of options to control SQL Server behavior on the connection level. These session-level options are configured using the SET T-SQL command that change the option value for the session on which the SET command is executed. Changing the default value of these session-level configuration affects how the session queries will be executed affecting the query result. 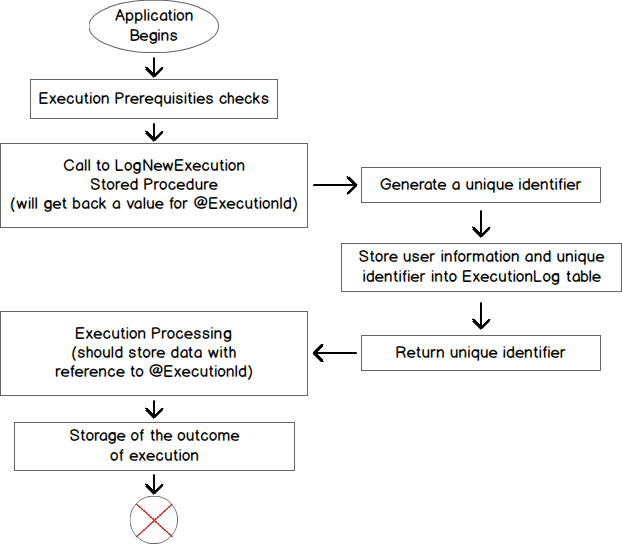 The performed change on a session-level option will be applied to the current session until its value is reset or until the current user’s session is terminated. Like any other enterprise RDBMS system, SQL Server ships with several built-in functions that make developers’ T-SQL code clean, convenient and reusable. 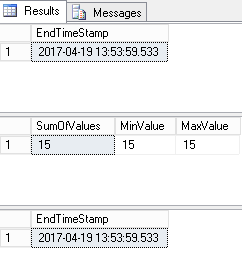 To demonstrate the efficiency of functions, say we needed to retrieve a server name for one of our SQL Server instances. Well, one of doing this would be to write a SELECT statement that would query the system view [sys]. [servers] from the master database as shown in Script 1. 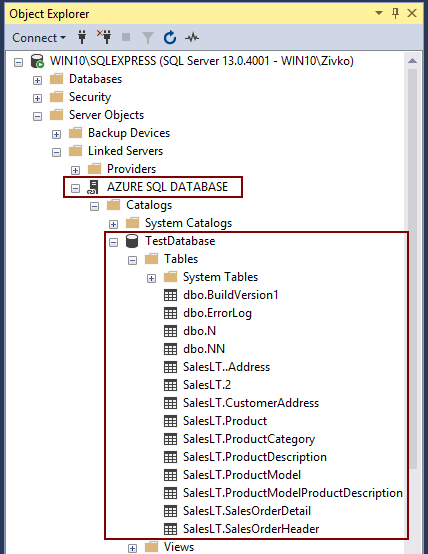 This article will provide an overview covering programmatically moving databases on the Azure Portal while avoiding common problems with users and logins. Every once in a while, SQL Server database administrators find themselves in disagreements with their application developer counterparts – particularly when it comes to some of the latter’s Transact SQL (T-SQL) developmental practices. One of my first observations when I joined my current employer is that almost all T-SQL scripts written by application developers uses the NOLOCK table hint. However, from the interactions that I have had with these esteemed developers it doesn’t seem like they understand how the NOLOCK table hint works. Furthermore, although they seem to be aware of a distinction between NOLOCK and the WITH NOLOCK table hint, they again do not seem to comprehend how the two differ from one another. In this article, I explore the internal workings of the NOLOCK table hint and examine the implications of omitting the WITH keyword. 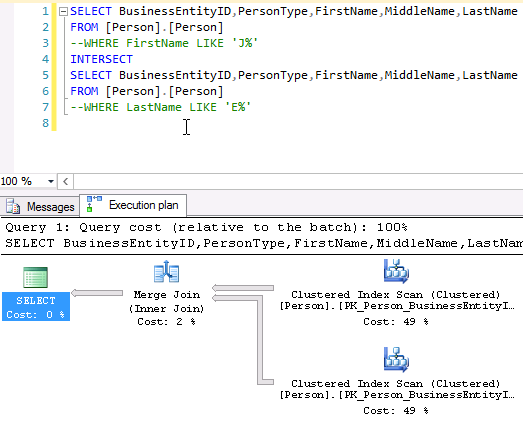 This article is the third and last one of a series of articles that aims to introduce set-based programming approach inside SQL Server, so using Transact SQL. In first article “An introduction to set-based vs procedural programming approaches in T-SQL”, we’ve compared procedural and set-based approaches and came to the conclusion that the second one can facilitate developer or DBA’s life. In second article “From mathematics to SQL Server, a fast introduction to set theory”, we’ve made the parallel between mathematical definition of set theory and its implementation in SQL Server. Now, we’ll discuss about some other features from T-SQL that can’t be left aside when considering sets. As a database administrator, sometimes you need to identify details about a problem as quickly as possible and being able to build and analyze data for analysis will help you solve the problem. From getting information about the latest backups, to saving information about waits or indexes and comparing that to other captured metrics, we will run into issues where being able to get, store and analyze data are important for decisions to solve urgent problems. In a software development life cycle, Code Review plays an integral role in improving the product quality. Having a Code Review Checklist is indispensable since it ensures that the best practices are followed and reviews are performed consistently. It is essential for developers to be aware of the coding guidelines while working on their code changes. Catching a bug early in the process is inexpensive and easier to resolve, than compared with a bug caught later in the game. Having all the common mistakes added to the checklist document is a great way to create awareness and ensure good code quality over a period of time. In the previous article of this series “An introduction to set-based vs procedural programming approaches in T-SQL”, we’ve seen from a simple example that we could find actual benefit from learning set-based approach when writing T-SQL code. In this article, we will carry on in this way by having a look at what a set is and what we can do with it in a mathematical point of view and how it’s implemented and provided to us in SQL Server. We will also have a look at more “realistic” examples using Microsoft’s AdventureWorks database. Most IT professionals started their studies or careers by learning programming languages like Basic, Cobol, C, Pascal, Java and so on. Those languages produce results using a sequence of operations or procedures. For this reason, this approach is called procedural programming. 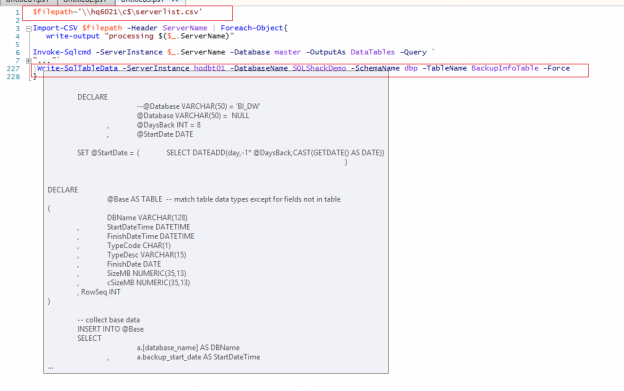 Use of explicit transaction is common in SQL Server development. Sometimes a developer might inadvertently specify a Data Definition Language (including SELECT INTO) clause within a long running explicit transaction, similar to the structure below, within a SQL Server object such as a stored procedure. SQL Server 2016 is the most advanced version of Microsoft’s Data Platform released yet. This is obviously my favorite one as it has tremendous capabilities and enormous features. These new additions not only enhance the productivity of its users (Database Developer, DBA or Application Developer), but also enable the enterprise to use its data more effectively and efficiently. 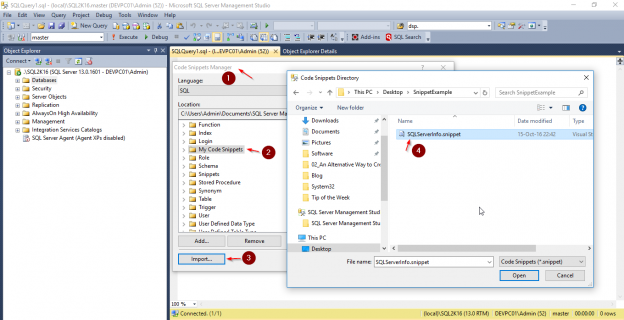 Before we delve into these SQL concepts, note that I like to do all my development in SQL Management Studio. So if you want to follow along go ahead and open that up. 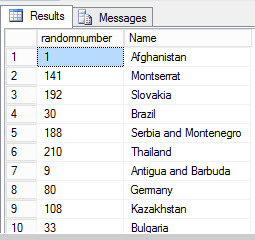 In this article, we will talk about generating random values for testing purposes. I once had a customer with software that worked fine in the demo with 30 rows, but after some months, the software had more than a million rows and it became very slow. The problem was not SQL Server, the problem was the application, which was not designed for tables with millions of rows. The customer sued to the software provider and lawyers were needed to create a resolution. If the provider had tested the software with millions of rows, this problem would have never happened. The Java HashCode method is used to determine uniqueness or similarity of strings. While implemented in Java, there can be many benefits of creating a similar or customized version of this method. When customers used to ask for advice to solve some T-SQL Problem, they would show me their scripts, stored procedures and cursors. 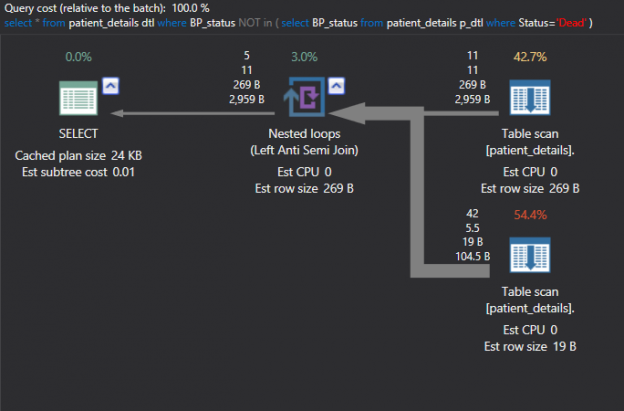 I saw horrible things doing that job, some things I do not want to remember, and even some I cannot tell you about 😉 In this article, we will talk about performance problems when using while loops in T-SQL. We will also talk about problems with UNIONsand finally the use of JOINS of two or more tables using the where clause (ANSI 89) instead of using INNER, LEFT or RIGHT JOINS using the from clause (ANSI 92). 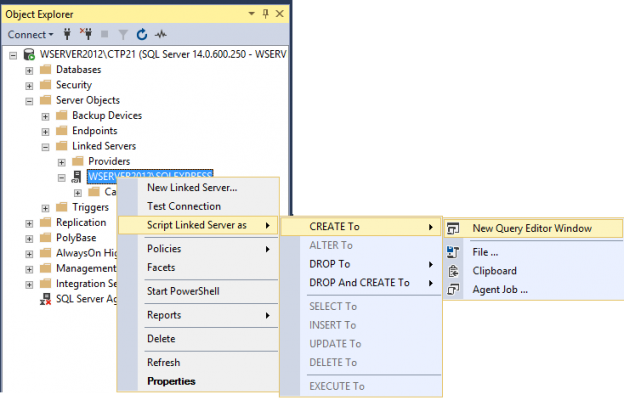 Transact-SQL (T-SQL) snippets were first introduced in SQL Server 2012 Management Studio. T-SQL snippets are templates containing one or more T-SQL statements which you can easily use them when you develop T-SQL scripts. The main concept behind code snippets is code reuse. With code reuse you develop faster, easier and with less syntax errors. If you frequently use specific T-SQL statements, then you should consider creating snippets with these statements as they will help you a lot.